The Martha Stewart Living Classic 3 in. Bedford Brass Canopy Cup Pull is both handsome and functional with its strong metal design. The cup pull is finished in Bedford brass for a striking look and features a classic design. 3 in. center to center measurement. The Amerock BP1592FB Inspirations 3in(76mm) CTC Cup Pull is finished in Flat Black. Clean, classic lines in a casual relaxed style, Inspirations is designed to compliment any dicor. Flat Black is a dark, matte Black finish that subdues the highlights of each design. Amerock Sea Grass 3-inch (76 mm) CTC Cup Pull is finished in Satin Nickel. Sophisticated finishes meet organic inspiration in the Sea Grass Collection. Slender rays mimic the setting sun or delicate fronds, connecting your senses to textures found in nature. The classic Satin Nickel finish provides a sleek, lightly brushed, warm grey metallic look. Amerock markets decorative hardware solutions that inspire, coordinate and help express personal style. For the kitchen, bathroom and the rest of the home, with a variety of finishes and designs for all decorating tastes, Amerock is the ultimate, time-tested source for hardware needs. Amerock markets products in four categories: decorative hardware, decorative hooks, bath accessories and functional hardware. The Amerock BP36615BBZ Sea Grass 3in(76mm) CTC Cup Pull is finished in Golden Champagne. Sophisticated finishes meet organic inspiration in the Sea Grass Collection. Slender rays mimic the setting sun or delicate fronds, connecting your senses to textures found in nature. Golden Champagne: raise a toast to this rich metallic finish. Warm and inviting without being brassy, this attractive hue elevates designs with enviable versatility. 3 in. Canopy Cup Pull The Martha Stewart Living Classic 3 in. 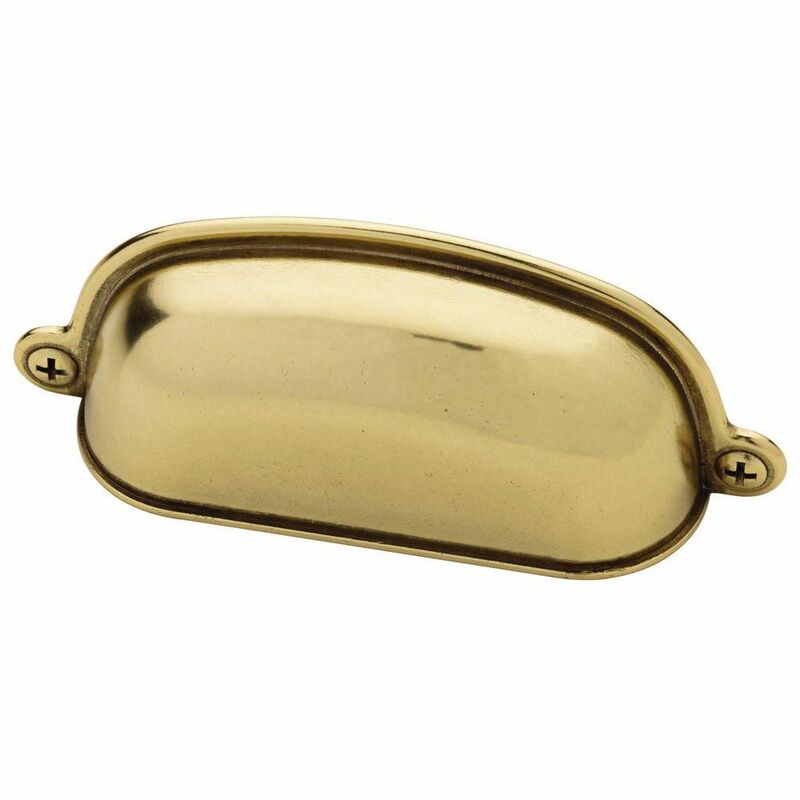 Bedford Brass Canopy Cup Pull is both handsome and functional with its strong metal design. The cup pull is finished in Bedford brass for a striking look and features a classic design. 3 in. center to center measurement. 3 in. Canopy Cup Pull is rated 4.4 out of 5 by 59. Rated 5 out of 5 by Pm1 from Beautiful! ... Beautiful! Rated 5 out of 5 by TheClassicButterfly from Completely pleased with these. They are exactly what I was... Completely pleased with these. They are exactly what I was hoping for. Nice hefty weight with an authentic feel of quality.